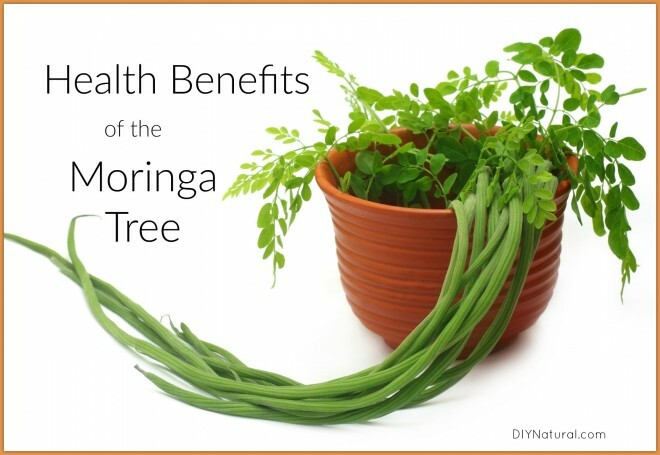 Ah, the amazing health benefits of Moringa! When I lived in Florida, I joined a rare fruit club. We were a group of people growing all sorts of unusual fruits, and some vegetables too. For one of our monthly meetings we toured a facility called ECHO, or the Environmental Concerns for Hunger Organization. They are a worldwide group that works to help farmers and find ways to help feed hungry nations, ours included. On this trip, we learned about the moringa tree. Moringa is a species of tree that grows in the Himalayas and India. It is now being grown in tropical and subtropical regions around the world. There are many subspecies, but the most important one is Moringa oleifera. It is a fast-growing, drought-tolerant tree used extensively around the world. In fact, the entire tree is useful to some extent. In short, there are many health benefits of moringa, and from several different parts of the plant. Yes! You can find seeds and moringa trees here on the internet. The seeds germinate after about 12 days and grow quite fast. In temperate climates, you can grow them outside during the summer and take them in in the fall. You can also treat them as an annual and let them die with the first hard frost. In areas within the USDA hardiness zones of 9-10 (such as southern Florida) you can most likely grow them all year. I have had a few during the summer here in North Carolina (zone 6b/7a) but they do not live past the first freeze. I have one now that I have taken in and it seems quite happy inside. If you want moringa, but don’t want to grow your own, you can find organic dried moringa leaf here. How can I use the oil? Recently I was given a gift of moringa seed oil. Since I am a soap maker, I set out to find out how to use it. I learned that while it has little scent, its many health benefits make it great as an additive to soaps or lotion. To add to soap or lotion, use about 5%, or similar to how you would use an essential oil. So if the soap recipe you are using has about 16 ounces, then you would use about .75 ounce of moringa seed oil. You might want to experiment with it to see what ratio works best for you. If you want to experiment with using moringa seed oil, you can find it online here. Moringa is being cultivated in third world countries to help combat hunger. Because of its fast growing nature and excellent usability, it can be grown in areas where other food crops often fail. Where water is scarce, it only takes getting started and then it is drought tolerant. The leaves contain amino acids and can be used as a protein source. It also helps nursing mothers with lactation. Here in North America where it is not so widely known, it is harder to find. I did find the oil online and my local health food store has tea (Organic India Tulsi Tea with Moringa) and other supplements. In more recent weeks I have seen more of it than in the past few years. Have you tried moringa? Let us know what you think! I add the powder to smoothies. I really helps with inflammatory bowel disease. But for some insane reason, it is illegal to take internally in Australia. So basically I have to break the law every time I consume it. It REALLY helps IBD. We are also the ONLY country in the world that bans the ingestion of hemp seeds – which everyone else worldwide knows the health benefits of. I am beyond frustrated at this backward country.